TL;DR: Things are good, we’re growing fast. The slightly longer version - we’re excited to head into the new year with significant momentum from 2018. Our incredible year, which included our Series A funding, is very much the product of the entire Tray.io team’s efforts, across engineering, product, sales, marketing, customer success, and people operations, not to mention the greatly-appreciated support of our amazing customers. Whilst the Tray.io team has been writing an incredible story of growth, I suppose my job is writing a post about it here. We may still seem like relative newcomers to the Valley, but the challenge we help our customers tackle isn’t a new one. We set out to help business professionals in any role tame the unruly beasts of disconnected tech stacks and huge repositories of important business data siloed into a million different instances. These challenges still cause even the most successful companies on the planet to grind to a halt. Our mission was to empower business users (not just engineers) to take full advantage of APIs. Enabling them to sync any stack, automate any process and take full ownership of critical business data. And we’ve stuck to that mission. As an overview, within the last 12 months, we grew our annual recurring revenue (ARR) more than 4.5x year-over-year, not to mention increasing our customer list 3.5x and growing our team 5x(!). We’ve brought in a suite of exciting new enterprise customers, including (but not limited to) IBM, FICO, Lyft, and Udemy, among others. Not to brag, but with each passing year, we’re seeing the same sort of trajectory as the hyper-growth success stories of Slack and Twilio. We’ve also forged partnerships with rapidly-growing firms such as Intercom, Copper, Iterable, Zendesk, Outreach, and RingCentral to help them expand their target addressable market and close new business. On the product side, we’ve extensively grown the Tray Platform to include Tray for Teams functionality, which has expanded to include Analytics, Sharing Workflows, Undo Workflow Changes, and Sharing Multiple Workflows. These are important collaborative enhancements to help our customers integrate their tech stacks and automate important processes faster by helping them build shared knowledge and functionality directly with their colleagues. We’ve also launched several other important product enhancements, such as our CSV processor, which eliminates the manual work and human error of flat file management, and SSO for Enterprise, to help our enterprise customers work more quickly and securely. And of course, we ensured our product continues to offer enterprise-grade security by becoming compliant with 2018’s new GDPR data regulations, and by renewing our certifications for SOC2. Having grown our team 5x, we welcomed many new faces on the technical side of the house (including engineering, product, documentation, and project management) as well as on the revenue side of the house (including marketing, sales, solutions engineers, and yes, even recruiters). Which brings me to our next order of business. Integrations will be key in our evolving tech landscape - In marketing alone, there exist more than 6,000 cloud services that professionals use for mission-critical processes. The profusion of different apps has led to as many as 25 being used by the average IT team to 90+ being used by the average marketing team, as vendors continue to produce new point solutions that don’t always play nicely with businesses’ primary systems of record. This is why some predict a “new age” of business technology where the key to getting things done will be the integration platform that bridges the divide between cloud software suites and point solutions. 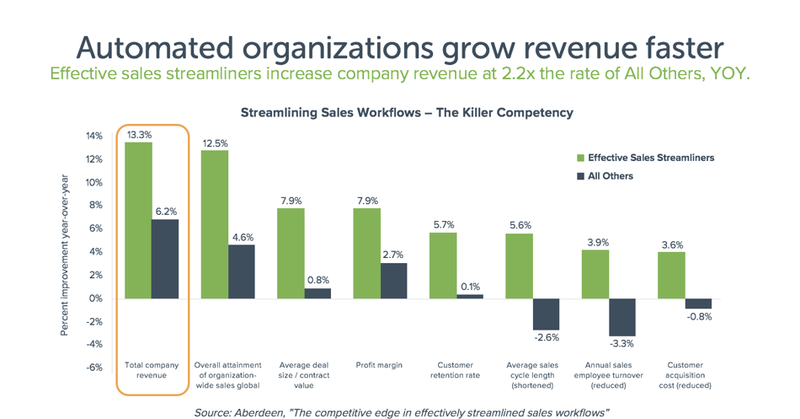 Automation is a proven revenue driver - Research shows that companies that make use of automation, especially to streamline important revenue processes for marketing and sales, drive 2.2x revenue more than those that don’t, with nearly 3x profit margins and 9x average deal size. We’ve got the best team in the business - This one is unquestionable, we're proud to work with such fantastic folks and to tackle our mission of bringing APIs to business users. But we’re not done yet. And we’re still very much looking for help in our mission. If you’re ready to join a team that’s in full-on hyper-growth mode, please contact us. To our valued customers and partners, we want to express our continued gratitude for being a part of our journey. Thank you very much, indeed.